Dealing successfully with change requires the skill of adaptability, or the ability to adjust one’s mental position and behavior to changes in the environment. This is a tough one for many of us because, we like what we like and we like it that way! And this is especially true for many of our kids, who don’t like the feelings of loss of control that change creates. 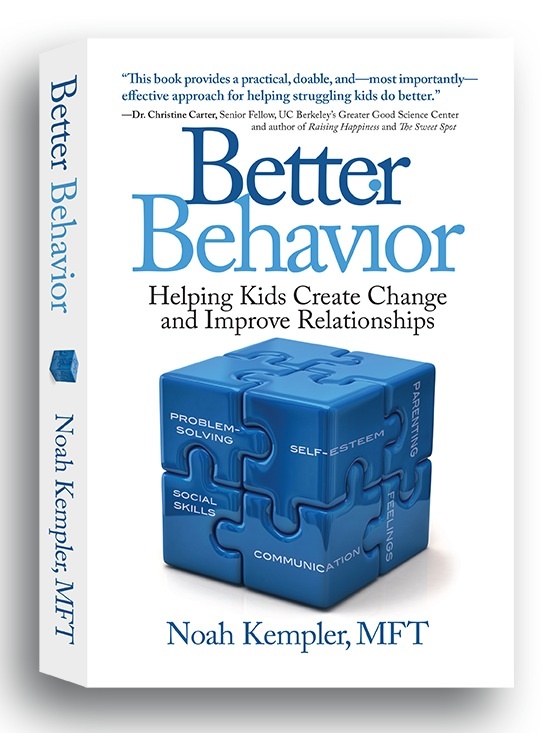 Some of the kids who struggle the most with change are the one’s with higher levels of sensitivity or rigidity in their temperaments—they’re just not wired to enjoy change. In fact, change—especially if it’s too fast or unanticipated—can create a surge in anxiety or anger for these kids that leads to an emotional and behavioral shut down. Have you ever tried to walk a cat? When I was young, I once tried to put a leash on our family cat, Simon, and take him for a walk. I got the leash on, but no matter what I said or did, Simon would not budge. In fact, he looked at me like I was the stupidest person on earth as I tried and tried to get him to stand up and get going. The more I tried to persuade him or gently tug on the leash, the more he dug in and resisted. It quickly developed into a classic power struggle, which I lost, and so eventually gave up. I learned a valuable lesson that day—you can’t make a cat do what a cat doesn’t want to do! Preview upcoming changes in schedule or routine with your child. Help him or her anticipate what’s coming with details about the event. Talk about the feelings that change creates, especially anxiety or fear. Then make sure you validate those feelings. Fear is real and it can be paralyzing. Create a sense of control for your child by giving them some choices (even if they’re token) during the transition. For instance, you can allow your child to plan special lunches (with a treat) that you’ll pack during their week at a new camp. Help your child think about other new things they’ve experienced and how they got through them successfully, and how worry always gets smaller as you get used to things. Talk about the skill of flexibility and how it keeps you from getting stuck and allows you to try new things. Set up some rewards for practicing flexibility and the courage to try new things even if they’re scary or hard. Concrete rewards give kids something to focus on and provide motivation to face fear and change. Steer clear of power struggles. If you get a lot of resistance to a new idea, don’t push it. Let it go and return to the conversation when your child is more receptive and ready to talk. The end of the school year is typically a time of intense feelings for kids. They’re simultaneously excited about school ending and the start of summer; sad about saying goodbye to their current class; and are already anxious about what the next grade will be like. That’s a lot of transitions! Not to worry, though, practice some of the suggestions above and you’ll see that you can help ease their worry and help the upcoming transitions go better. The wonderful website middleweb.com, which provides tons of information and support for teachers grades 4 – 8 recently published an article of mine titled When Puzzled Teacher Meets Troubled Kid. If you know anyone in the teaching profession, pass along the link! 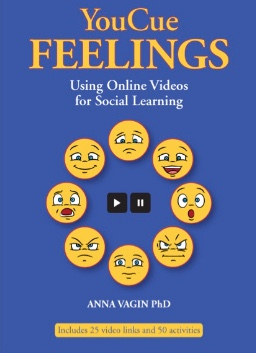 My colleague, Dr. Anna Vagin, who is a respected author, lecturer, and speech and language pathologist, has created some amazing resources for kids with communication difficulties. Below is a description of her new book, YouCue Feelings, which helps kids with social learning and communication skills. Be sure to check it out. This entry was posted in parenting and tagged Transitions by Noah. Bookmark the permalink. Thanks Noah for such a wonderful post. I have actually read quite a few parenting books myself. Mine two favorite ones are: ‘The 5 Love languages of the children by Gary and Ross’ and ‘The Baby Book: Everything You Need to Know About Your Baby from Birth to Age Two’. I would recommend you to read them if you have got the chance 🙂 Good times!! Thanks Cathy, I’ll take a look at those books. I’m always looking for more resources!